EuFoA’s Secretary General Michael Kambeck and MEP Elmar Brok, member of the Europe-Armenia Advisory Council and Chairman of the EP Foreign Affairs Committee, have commented on Armenia’s decision to join the Eurasian Union. Below we provide you with these articles. Armenia says it will join the Eurasian Customs Union, rather than enter free-trade deal with the EU. Armenia announced today that it will join the Eurasian Customs Union led by Russia, a move that in practice will prevent it signing a free-trade deal that it had already negotiated with the European Union. Armenia completed technical talks on a ‘deep and comprehensive free-trade agreement’ (DCFTA) with the EU in July and it was set to be signed at a summit with the EU in late November. The EU has repeatedly stated publicly and privately that membership of the Eurasian Customs Union – whose members are Russia, Belarus and Kazakhstan – is “incompatible” with a DCFTA. Sarkisian also sought to maintain ties with the EU, saying that “this decision is not a rejection of our dialogue with the European institutions”. He said that Armenia “is a considerably more effective and competitive state than it was years ago” as a result of its negotiations with the EU and that “we intend to continue these reforms also in the future”. In addition to a free-trade deal, Armenia has been working towards the signing of an association agreement with the EU, a framework agreement on co-operation that is seen as a first step towards political integration with the EU. Putin had asked for the meeting on Friday (30 August). The agreement comes just two days before a G20 summit that Putin will host in St Petersburg (5-6 September), and in the wake of a trade dispute with Ukraine over its bid to sign an association agreement with the EU. The EU’s leaders were expected to raise their objections to Russia’s pressure on Ukraine at the summit. On 14 August, Russian customs officials ordered checks on Ukrainian goods in a move accompanied by political statements that such restrictions could become permanent if Ukraine signs the agreements with the EU. The situation at the border has since returned to normal, but Gunnar Wiegand, the EU diplomat responsible for relations with the EU’s eastern neighbours, told the European Parliament last Wednesday (28 August) that the clash was “likely to be a first warning shot if and when Ukraine moves closer to signing an association agreement” at the summit in Vilnius. The EU has yet to comment on Armenia’s decision. Michael Kambeck of the European Friends of Armenia said that “today’s U-turn [by Sarkisian] was not a free choice”. Kambeck urged the EU to “find a new modus operandi with Armenia, which visibly wants to cooperate closely with the EU but apparently is restricted by a third country”. After Armenian President Serzh Sarkisian announced that his country was going to join the Moscow-led Customs Union of Belarus, Kazakhstan, and Russia, RFE/RL’s Rikard Jozwiak spoke to Elmar Brok, a German member of the European Parliament and chairman of its Foreign Affairs Committee, about how he thinks the move will affect Yerevan’s relations with the EU. RFE/RL: What is your immediate reaction to the decision of Armenia to join the Customs Union? 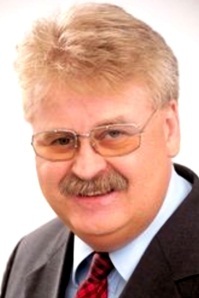 Elmar Brok: I am very sorry for that. I discussed it with the Armenian president, too. We know that Armenia is under incredible pressure from Russia because of the difficult situation towards Azerbaijan and [the disputed territory of] Nagorno-Karabakh. There is all this pressure. A small country like Armenia was blackmailed to make such a decision. I feel very sorry because it is legally — because of certain conditions — not possible to be a full member both of the Customs Union and have an association agreement and free-trade-area agreement with the European Union. RFE/RL: What will the EU’s relationship with Armenia look like in the future? Brok: There will be a relationship as we have with every country but not a relationship with a European perspective. RFE/RL: There have been some arguments already that the EU let Armenia down and that this is the reason why Armenia opted for the Customs Union instead. What do you think about this? Brok: I think that is a propaganda argument [for their] own population. We were ready to negotiate an agreement with them and go forward with that in Vilnius and that was very clear…the reason [behind this development] is the blackmailing pressure by Russia. RFE/RL: Do you think there is any chance that Armenia will change its mind in the run-up to Vilnius? Brok: I hope so as we will talk to them. I had in the last years several discussions with the president, and because of this discussion with the Armenian president I can only imagine that this pressure by Russia has played a role in that. If we have chance to open that again…it is very much important that Nagorno-Karabakh should be solved in a way and [so] that such a small country can find a solution with Azerbaijan on that question in order to overcome the problems in the region. The European Union, which has not done it till now, should take much more interest in the solution of such a frozen conflict.